A synthetic diamond (also known as a laboratory-grown diamond, a cultured diamond, or a cultivated diamond) is a diamond produced by a controlled process, as contrasted with a natural diamond created by geological processes or an imitation diamond made of non-diamond material that appears similar to a diamond. Synthetic diamond is also widely known as HPHT diamond or CVD diamond, after the two common production methods (referring to the high-pressure high-temperature and chemical vapor deposition crystal formation methods, respectively). While the term synthetic may sometimes be associated by consumers with imitation products, synthetic diamonds are made of the same material as natural diamonds—pure carbon, crystallized in an isotropic 3D form. A CVD or Chemical Vapor Deposition Diamond, also referred as a laboratory-created Diamond, is produced by means of a synthetic method, as compared to real or Natural Diamonds, which are generated by physical processes. In addition, CVD Diamonds started appearing in the gemstone Diamond market many years ago. This process involved bringing a gas like methane into a vacuum chamber and then activating and breaking down the molecules of the gas with microwaves, which causes the carbon atoms to accumulate on a substrate like the way snowflakes accumulate in a snowfall. What are the Methods to create the CVD Diamonds? There are now mainly two methods of manufacturing CVD Diamonds, the first is the HPHT or High Pressure High Temperature process and the other is CVD or Chemical Vapor Deposition. The HPHT method was used to successfully grow Diamonds in 1956 by General Electric, and basically mimics the natural process. The HPHT process and the energy and equipment needed is costly and produces Diamonds with mostly brownish or yellowish colors. On the other hand, using the CVD process is inexpensive because it works at moderate temperatures with a low pressure that needs smaller and less costly tools. Colorless crystals can be grown as the vacuum chamber contains mainly carbon and some hydrogen. Yellow or Blue CVD Diamond crystals can be produced if boron or nitrogen is introduced into the chamber. Why CVD Diamonds Are low in price? Today, everyone is curious about why CVD Synthetic Diamonds are very low in price. Synthetic Diamonds are about 30%-40% cheaper than normal Diamonds. However, a common question in the Diamond trade and among buyers is whether CVD Synthetics will sooner or later be manufactured so inexpensively that the value of Natural Diamonds is endangered, and the answer to that question is a big “NO”. The growth of CVD will become more efficient because of the scale and manufacturing experience, but many factors will only become more costly with inflation and time. What are the colors in CVD diamonds? 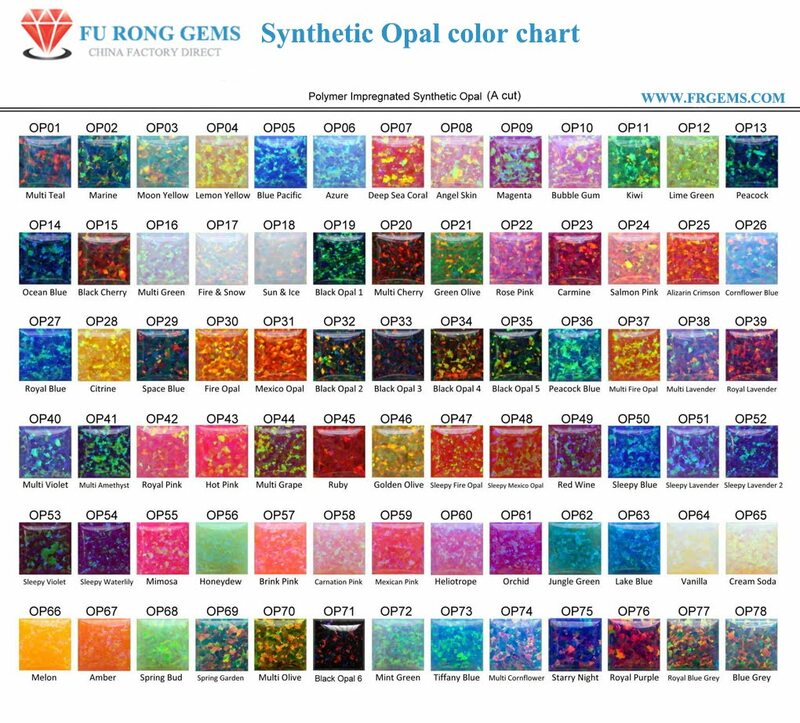 Both CVD and HPHT Diamonds can be cut into gemstones as well as different colors can be produced, like yellow, brown, green, blue, orange and clear white. Usually, they are available in yellow, blue and even in white. The blue color is produced from boron while the yellow color arrives from nitrogen impurities in the industrialized process. However, other colors like pink and green are feasible after the synthesis through the irradiation process as well. Where to buy the CVD lab grown Diamonds? Although buyers have several CVD retailers to choose from, there is one Trustful suppliers in the field currently selling Synthetic or CVD Diamonds for up to 30% less compared to Natural Diamonds in the market, FU RONG GEMS situated in China can be the best source for Wholesale CVD Diamonds. The company is selling Synthetic Diamonds, including colorless for up to 30% less than their mined equivalents. FU RONG GEMS is the real CVD Diamond Manufacturer and suppliers which located in Wuzhou City, Guangxi province of China---honor as the Capital of the biggest Synthetic gemstones manufacturing base in the World. The following are some pictures of Lab Grown CVD Diamond round stones for your reference. FU RONG GEMS supply high quality of Lab Created Diamond/CVD Diamond/Synthetic Diamond gemstones wholesale at factory direct price from china Suppliers and manufacturers. All of the Lab Created Diamond/CVD Diamond/Synthetic Diamond gemstones are made in the China. We want and expect you to be thrilled with your purchase, but to provide you peace of mind, we offer a 30 day return policy for most of our products. Q1. What about the lead time? A: Within 2 days if in stock, 3-6 days if the stones out of stock. Q3. Can I custom the shape and size what I want? A: Yes! Just tell me your specific requirement, then we can cut it according to your idea. Q4. Can I laser something on the girdle? Q5. What colors of Created Diamonds can you offer? A: White(EF),Light yellow(GH), IJ...and more. Contact us today to get a free quote for the Lab synthetic diamond stones. Cubic Zirconia Stones Wholesale,Loose CZ Stones,CZ Diamond,Lab Created Moissanite Diamond, Natural and Synthetic Gemstones China Wuzhou Supplier and Manufacturers.